Skater girls rejoice, when it comes to "sport" shoes, slip on sneakers are the new wedge high tops. 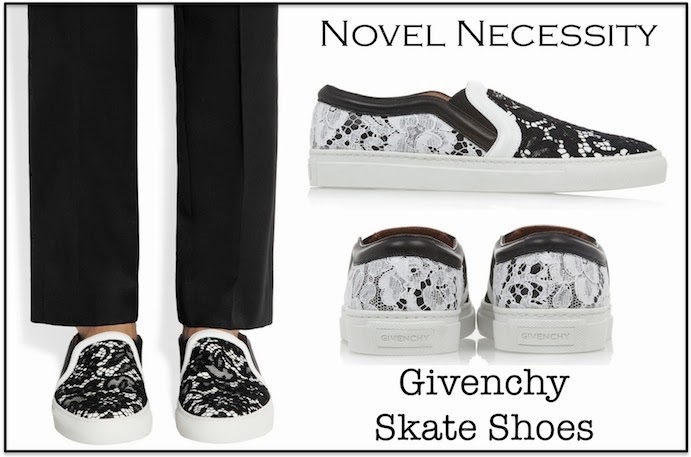 Although $650 may be too steep for my budget, it's hard to deny the fabulousness that is Givenchy's lace skate sneaker. The sporty silhouette mixed with feminine lace in black and white make them wearable and eye-catching. Think about how perfect they would be with some leather skinnies (*drooling..). Although I wouldn't want to risk it in the rain in these Givenchy slip-ons there are a number of other options from gold Tory Burch sneakers to classic under $50 Vans. Ah those are so cute and look comfy too!